Today, 5/5, is the Seattle Foundation’s Give Big! day, on which they encourage folks to donate to local non-profits to help out with whatever needs we see in the community and further. Through Hack Your Clothes I’m donating sewing machines and other sewing supplies as well as my time as a teacher to assist the Somali Center in getting their Sewing and Fashion Design program off the ground. Do you have anything you can give? They’re starting out, so they need lots of help and supplies! Donations of money will allow us to buy what we need, and we also appreciate donations of materials and time. Everything helps! Below is Sahra’s statement about the center and what they are requesting. Please join me in Giving Big! Back home, many Somali Elders enjoyed sewing as both a social activity and as a way to create beautiful clothes and accessories for themselves and their families. 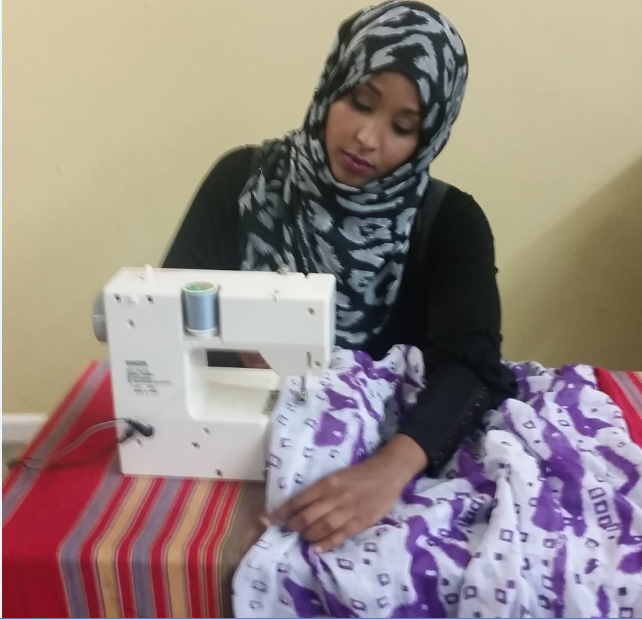 Here in Seattle, very few members of the Somali community have regular access to sewing machines and the necessary equipment to practice their skills in a comfortable environment. Somali Elders and Youth have requested this training program as a way for both generations to come together to celebrate Somali culture and fashion, to learn the fundamentals of creating hand-crafted apparel, and to express themselves through design. SCSS is currently recruiting experts to help design our training curriculum and lead classes that begin in July 2015. The program will be completely free and open to Women and Men of all ages. SCSS has already received generous donations of sewing machines from Hack Your Clothes (a local business), Horn of Africa Services (a local non-profit), and donors from around the country to help us launch the program this summer! We are incredibly excited to begin and we can’t do it without your help!